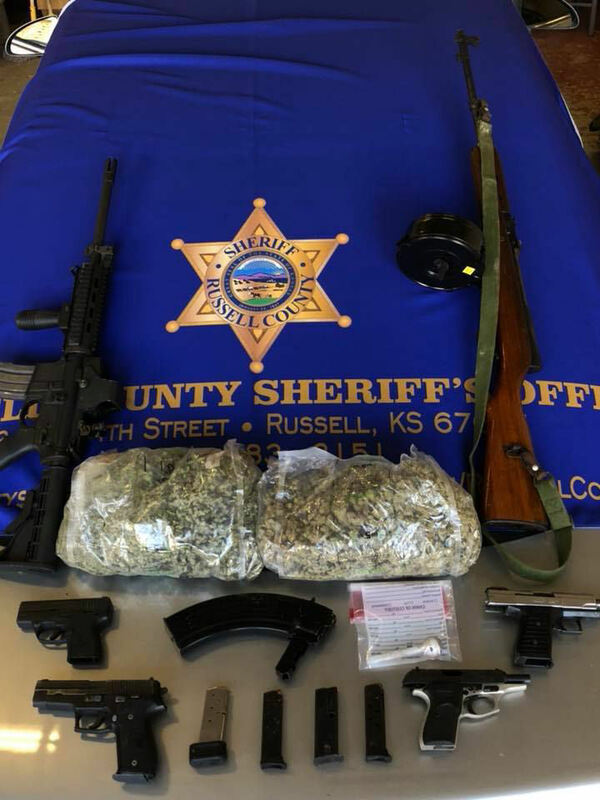 A report of an erratic driver along Interstate 70 on Tuesday lead to the discovery of large amount of drugs, and multiple guns. 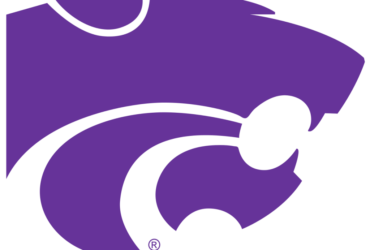 According to the Russell County Sheriff’s Office, on Tuesday morning the Kansas Highway Patrol received a report of an erratic driver in a silver Pontiac on Interstate 70. At approximately 6:30 a.m. a Highway Patrol Trooper that was on his way to another assignment spotted the vehicle leave the interstate and enter the Sun-Mart Truck Stop at the Bunker Hill exit. 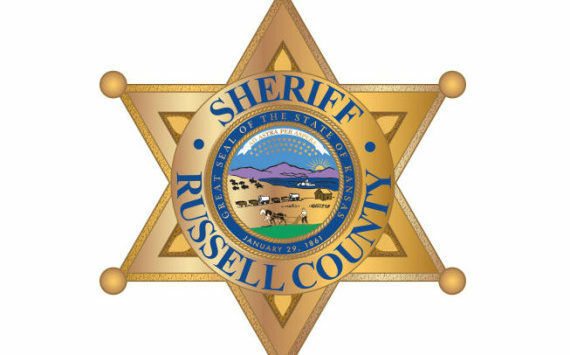 This information was forwarded to the Russell County Sheriff’s Office and Deputies responded. A silver 2008 Pontiac G6 with Mississippi license plates was located. While speaking with the driver, deputies observed drug paraphernalia laying in plain view inside the car. Further investigation revealed just over two pounds of green vegetation that field tested positive for marijuana. Along with the marijuana, a half dozen guns were found inside the car. The guns include two rifles and four handguns. One of the guns has been confirmed as stolen from Mississippi. The driver of the car was identified as Omar Barajas-Diaz, a Mexican citizen. He was arrested on multiple charges that could include possession of marijuana with intent to distribute, possession of methamphetamine, possession of drug paraphernalia, possession of stolen property, and criminal use of firearms.